Safestore Self Storage Staples Corner is off the North Circular Road (A406) in North London linking the M1 and the A5 and is opposite Tool Station and Screwfix. It is close to the Brent Cross shopping centre and based in the Staples Corner Business Park; to enter the park from the North Circular keep an eye out for the entrance which is located immediately before the store, just after Joysleep. Buses 112, 182, 232 and the 611 stop outside the store. Security is paramount at Safestore and each of the various room sizes are covered by 24 hour recorded CCTV and intruder alarms. 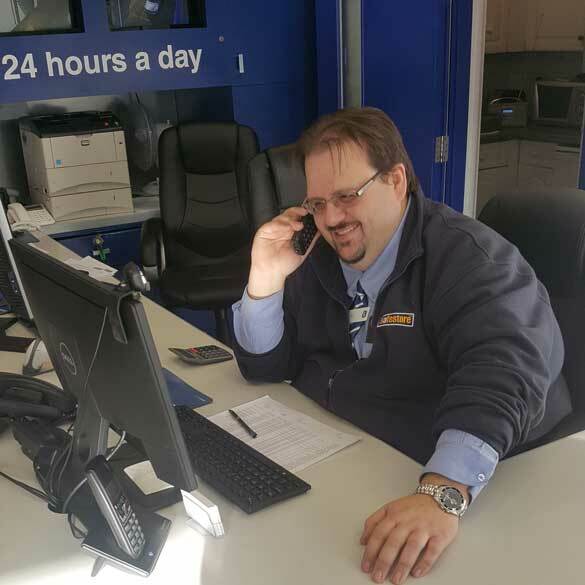 Our friendly and helpful store team will keep your things safe and sound. We also have offices available to let and these benefit from: separate intercom system, 24 hour access, electricity and rates included in price and limited free car parking. Whether you need household, business or student storage, you’re sure to find exactly what you need with Safestore. We're also conveniently located in North London for those in Wembley, Brent Cross, Hendon, Hampstead and Cricklewood who are looking for storage. We have a range of storage solutions at Staples Corner Safestore, whether you are moving house or just need some space to store your things. Use our storage size tool to help you decide what you need. Get 50% off storage for up to 8 weeks at Safestore Staples Corner with no minimum stay. Offer available at all UK Safestore centres. Get a storage quote at Safestore Staples Corner today and reserve a unit for free. When you move in we won't need a security deposit either. Get 20% off at Safestore Staples Corner if you agree a stay for longer than 12 months. Terms apply. Joe has been at Safestore for 11 years moving from designate manager to manage Edgware, Borehamwood, Enfield and now Staples Corner. Our team pride ourselves in giving excellent customer service and will be happy to take some of the stress away from your move by providing the perfect self storage solution. Very efficient and convenient service, highly professional and very helpful staff. Good location (near Euston Station). Excellent customer service, really helpful and patient with my elderly mother. Special mention to Dan who was so nice to us. A great facility. Easy access and clean. Would definitely recommend. Fantastic staff and stress was lifted right away after I spoke to Colin..Highly recommended. Polite and friendly service, reasonable price for eight weeks of storage, clean and secure premises. All good with my storage so far. I did really enjoyed the great service staff polite and very helpful! I thought that the service was excellent. All the staff were really helpful and accomodating to the me as a customer. They went over an above. Top quality service, safe and secure. Laura and Dan were amazing. MAB Moving provides a flexible, cost-effective and smooth running delivery, removal and storage solution. We provide home and office removals throughout the UK. At MAB we aim to provide a service that makes your moving day as stress free as possible, our prices are competitive and we are well experienced in this industry. For a polite and friendly service please contact us.